Art Z LTD, a flooring, decorating, and painting company serving customers in St. Charles, Illinois, and surrounding communities, has been a family-owned business for nearly 15 years. After being named No. 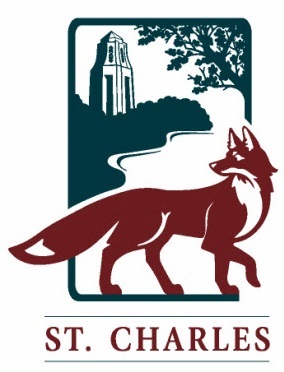 1 by Family Circle’s annual Survey of the Best Towns and Cities for Families, it is no wonder St. Charles, Illinois, home sales prices are on the rise. One of the best ways to increase the value of your home, whether you want to sell or not, is having an updated bathroom, kitchen, and flooring. Art Z specializes in each of these areas. The bathroom flooring and tile services offered by Art Z to St. Charles, Illinois, area customers are top of the line. We believe that the bathroom not only needs to be practical, but also beautiful. It should be a place where you can relax after a long day. An outdated bathroom can actually bring your home value down. One of the best investments you can make in home improvement is in your bathroom and kitchen. An updated bathroom can often return more than 100 percent of the cost. The professionals at Art Z can help you design something you love that also adds value to your home. Remodeling your kitchen can be a sure-fire way not only to increase your home’s value but also quality time spent with family. Gathering together for meals is good for the mind, body, and spirit. The kitchen is the heart of a home and Art Z specializes in low-maintenance kitchen updates. A simple backsplash can vastly improve a kitchen’s aesthetic appeal and allows you to personalize your space. Art Z is a leader in floor installation in the St. Charles, Illinois, and Chicagoland area. Whether it is just one room, or an entire home, the right flooring is crucial. Flooring is typically one of the first things noticed when one enters a home. Art Z can assist in selecting the right flooring for your needs and will provide the highest quality installation. Some of the flooring available for installation include hardwood, marble, laminate, ceramic tile, vinyl, cork, and bamboo. Learn more about our flooring installation services. Art and Zaneta Zieba, owners of Art Z, are proud to serve the community of St. Charles, Illinois, and surrounding areas. We pride ourselves on providing the highest quality of work and giving our customers personal attention. Contact us today to discuss your custom build or remodel.